The playmat is well-made and the color is very soft for a nursery room and in any place at home. Easy to use, easy to clean, easy to move, easy to store. The most important feature for us is the mat is made with non-toxic material. It's perfect for tummy time with baby. The shipping is also very fast so we can enjoy the mat very soon. I'm very happy to find this playmat and looking forward to use it for other activities with my growing baby. I bought Alzip play mat to give our baby a safe place to crawl around since we had hardwood floors. 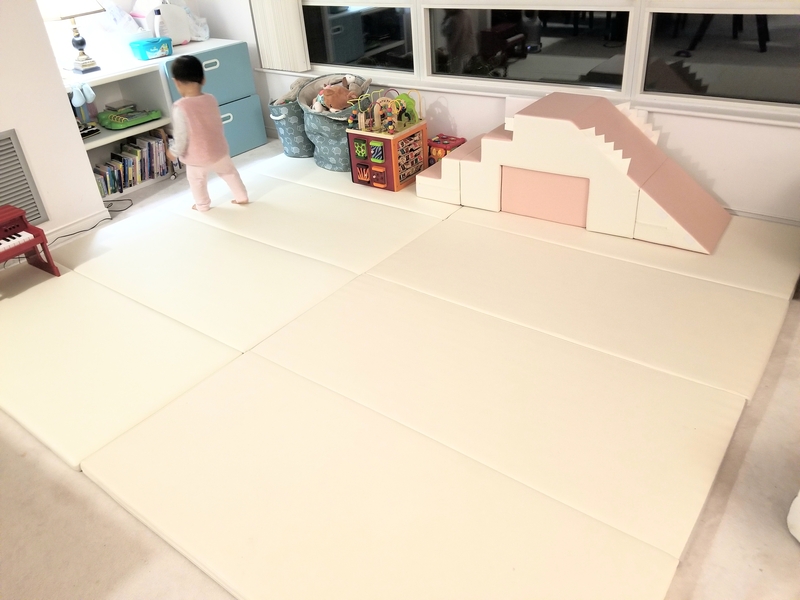 We have since then moved to another place with carpet, but the mat has created a great designated play area for our baby. I had bought another mat previously but the price was double that of Alzip mat and Alzip mat is very comparable in terms of thickness, size and quality. Our baby spends majority of her play time on this mat and since the mat is easily wipeable, we don't have to stress about food and drinks spillage. 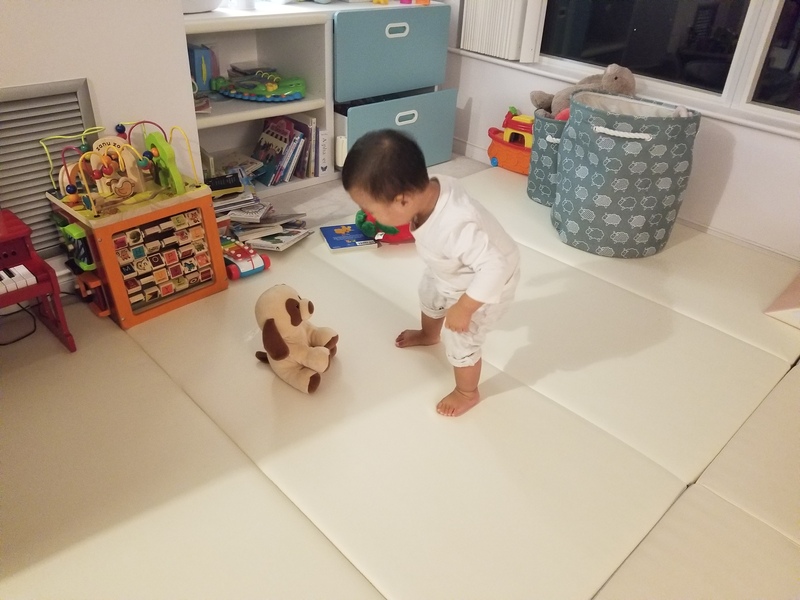 This mat is much thicker (4cm) than other play mats out there and I feel very safe with our baby trying to practice walking now. My husband has also taken many naps on this mat since it's so comfortable! I've recommended this mat to my friends. This mat is definitely worth it! I bought the Alzip mat few months ago, Sometimes Children are exposed to the danger. After using the Alzip mat, I feel very relieved. We have a total five different color mats!! Mat is very soft and strong. Recommend to an acquaintance Other brand mats the dirt will not come out, however hard I may try to wash it off. But this Alzip mat has waterproof and easily cleaned. And perfect interior design at home. My family love Alzip mat so much. It is nearly perfect. or It approaches perfection. I bought this adorable mat for my child. This is the best play mat I ever seen. It’s very comfortable and safe for kids and perfect for a nap. I feel good with the eco- friendly material and it’s makes our living room luxurious. I always recommend the alzip mat to my neighbors and friends.